Life in Nichada Thani is a breeze with on site management to ensure the peaceful enjoyment of your home. Services are provided by an exclusive in-house team of fully trained and qualified staff. To request work to be performed at the residence, our customers need only to make a request via email to start the process. Your customer relations representative will schedule the work and provide work details via email with no visit to the office or paperwork required. Nichada Thani’s Security Division, works around the clock to ensure you and your family’s safety. As well as 24 hours at the main entrances to the community, guards are posted 24/7 at the Nichada and Natakorn Lake Condominium to respond to emergency situations as well as routinely check residents, staff and visitors into the building. 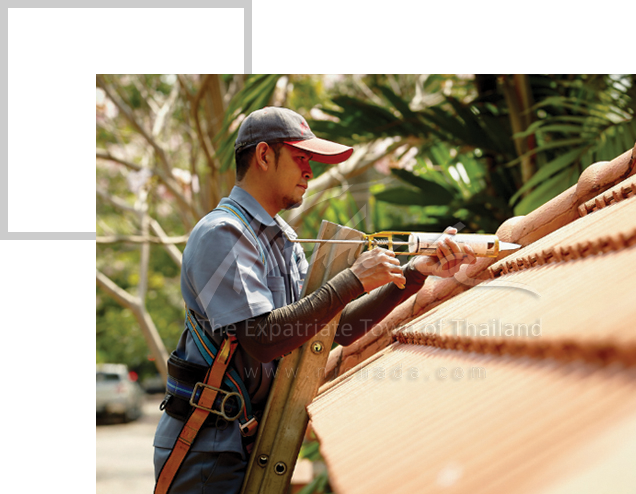 Nichada Thani’s Maintenance Team proactively schedules routine upkeep of our condominiums and houses, responding without delay to any repairs which may be necessary, both around the compound itself and within rented units. As well as keeping the communal pools in top condition, Nichada Thani’s pool maintenance team provides services to all rented units with private pools 3 times per week to ensure crystal clear water quality. 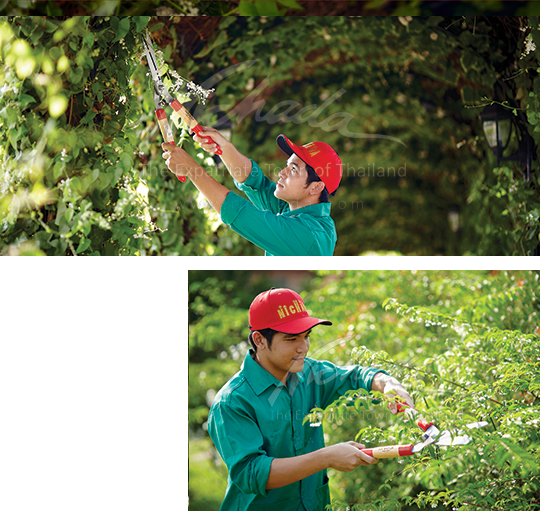 Nichada Thani’s Landscaping Team tends to the gardens, lawns, trees and shrubs keeping the yards of rented units as well as the common areas of the community lush and green. Garden design services are also available include the execution of those services customized to your taste. The Housekeeping Team ensure that the compound facilities and ties environs are kept sparklingly clean and hygienic. Private hire can be easily arranged, from one off engagements for parties etc., to monthly maid service contracts. Nichada Thani’s Pest Control Team takes regular preventative action against unwanted pests throughout the compound and rental units. 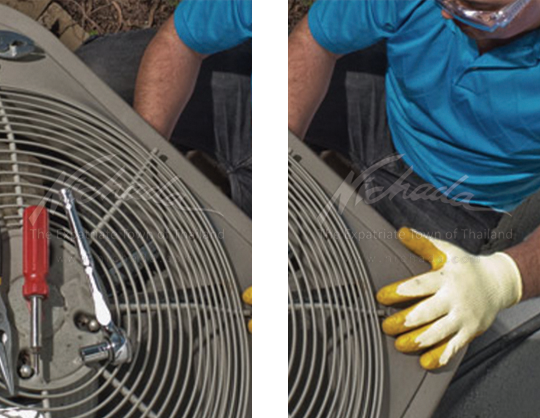 Nichada Thani’s Air-conditioning Maintenance Service Team visits rental units every 3-months for routine service and responds promptly to any fault reports to ensure your air conditioners are keeping you cool year round.